In the world of heavy machinery, there is no machine more widely used than the excavator. This machine can be used for a number of different jobs. Not only is the excavator very versatile, it is durable and tough as well which is why it is an industry favorite. There are a number of Mini Excavator Attachments out there and finding the right ones will allow you to do your job much more efficiently. One of the most used attachments on an excavator is a bucket, which can complete a number of different jobs. 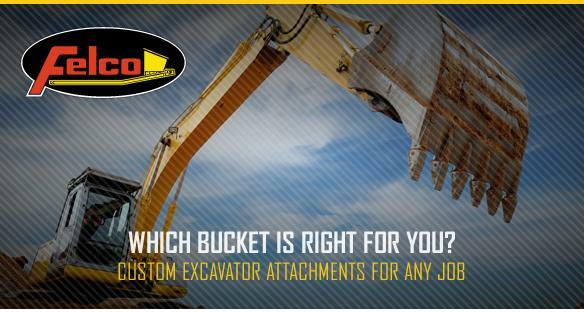 Here are a few different types of Mini Excavator Buckets‏ and the types of jobs they can do. One of the most common types of buckets you will find in use on an excavator is made for digging. These buckets range in size and construction depending on the type of job they are doing. For a job digging in softer soil, the teeth on the bucket will be very short. If the soil is a bit harder, then the teeth will have to be a bit longer to make a dent in the ground they are digging in. Another very common bucket you will find in use is the rock bucket. This type of bucket is usually constructed just like a digging bucket, but with a bit more power. In order to pry through the rocks, the teeth on the bucket have to be a bit longer and very durable. In most cases, the teeth on this type of bucket will be a bit thinner than a digging bucket. This thinner construction is used to get traction is the rocky soil and rip the rock out as intended. Yet another bucket you will see in use around construction sites is the V bucket. This bucket is also used to dig, but has a unique V shaped bucket on it. This type of bucket allows for more impact to be made with each dig due to the double bucket. The V bucket can help you get the job done much faster and will allow you to save a lot of energy. If you are in the market for top notch excavator bucket, then look no further than Felco. By choosing them, you will be able to get the equipment you need to take your business to the next level. Be sure to call them at 1-800-221-5427 or request an estimate by clicking here. This entry was posted in Custom Equipment, PRODUCT & SERVICE by Felco News. Bookmark the permalink. We take pride in providing American jobs and building our products locally with high quality standards, without the need of outsource, or import our products off shore. Felco is manufacturing products that leave a reputation that resemble the impressive Montana landscape; rugged durable, and impervious to all type of environmental conditions. Felco Industries © 2018. All Rights Reserved.